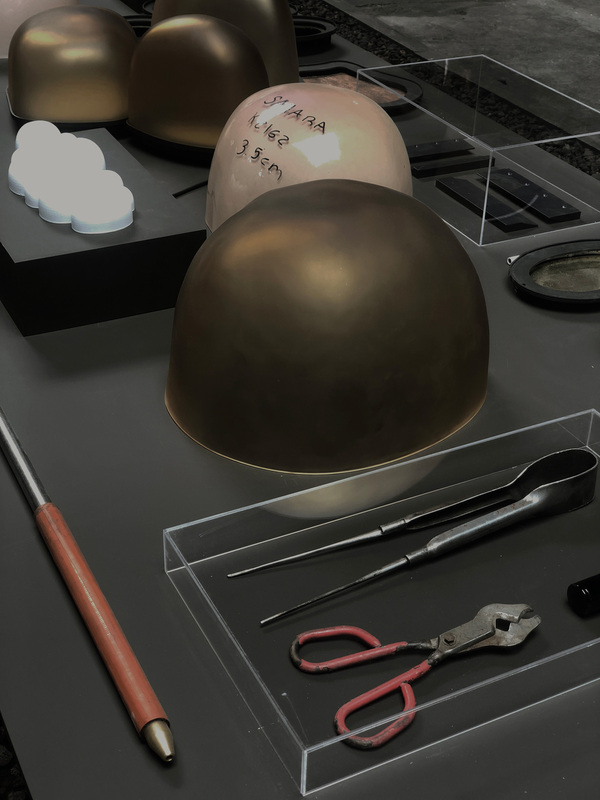 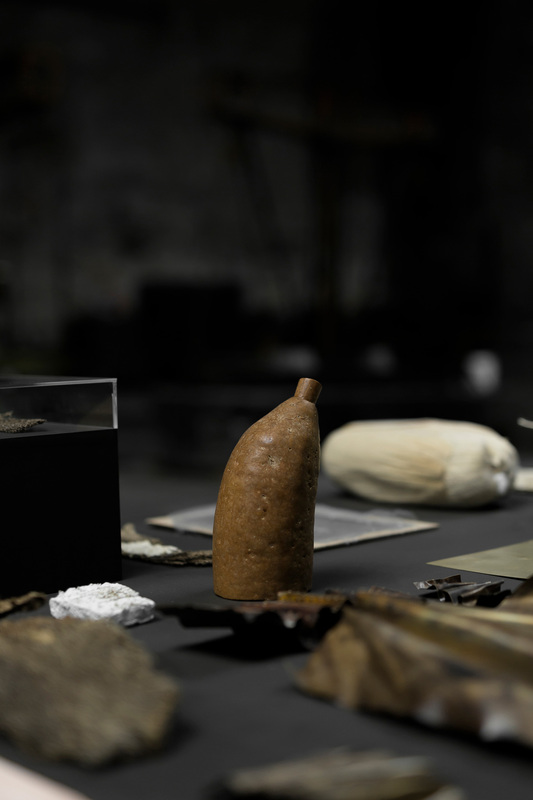 EWE Studio’s first solo exhibition Masa Crítica at the historic Museo Numismático Nacional in Mexico City, explores the studio’s process, material studies and work up to date, before its next collection launch early 2019. 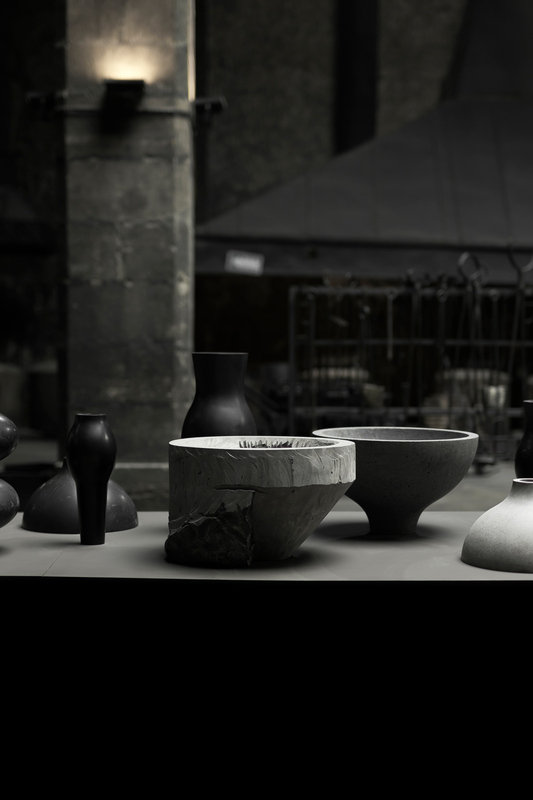 EWE is interested in the whole handcraftsmanship processes – such as moulding, foundry, blowing glass, carving, distorting and transforming by burning, and finally finishing – it is very much in their core value to be involved in the whole progress, while collaborating in the creation of their pieces with the artisans. 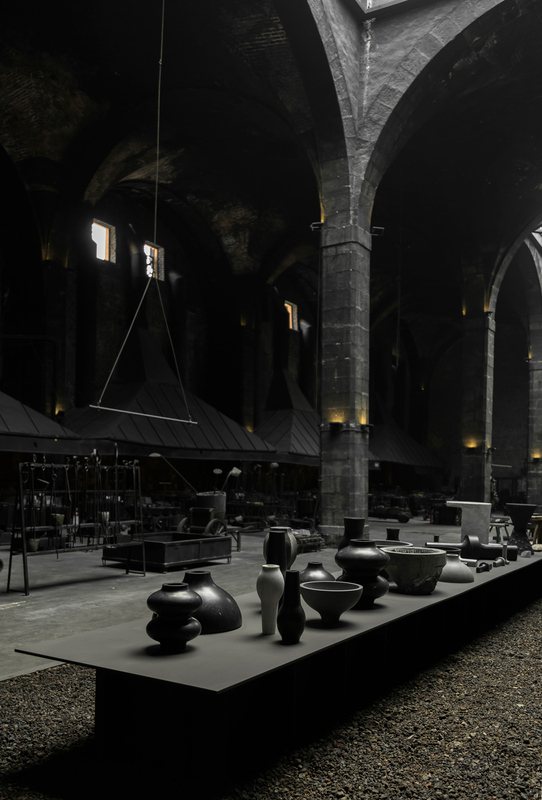 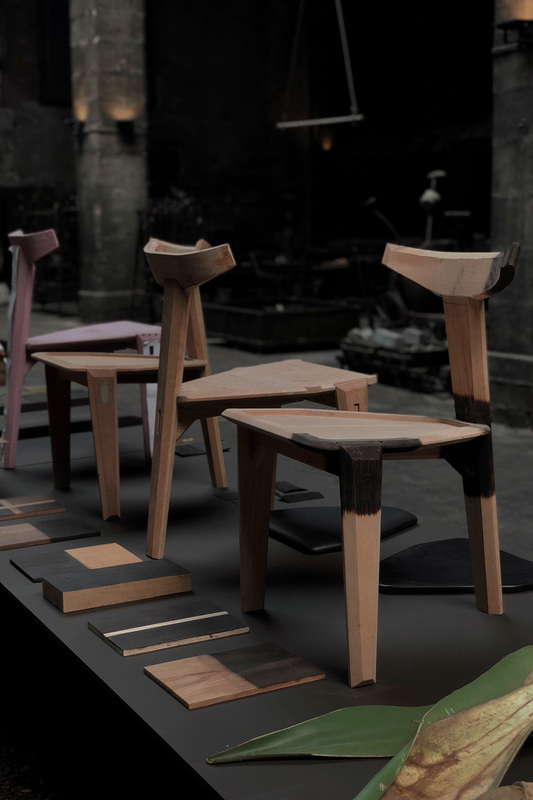 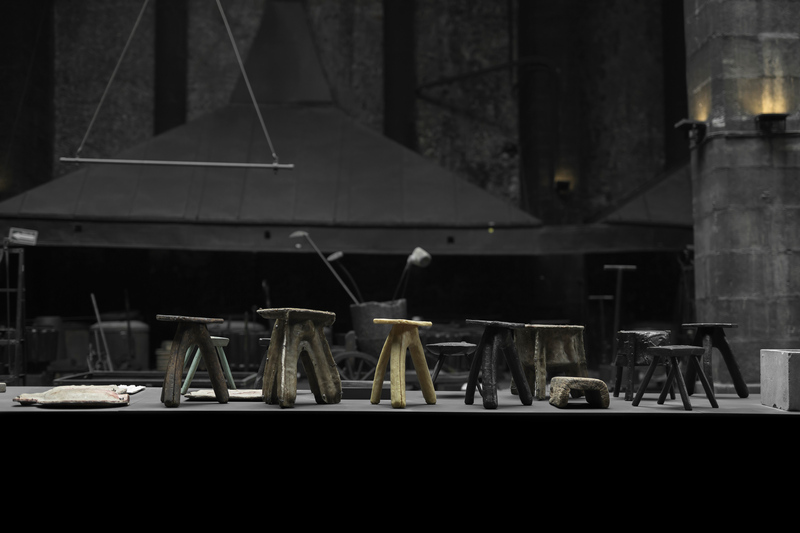 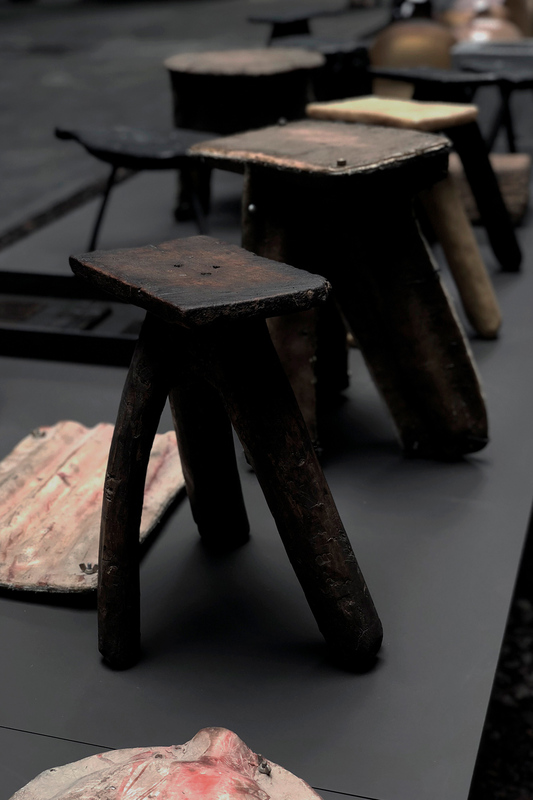 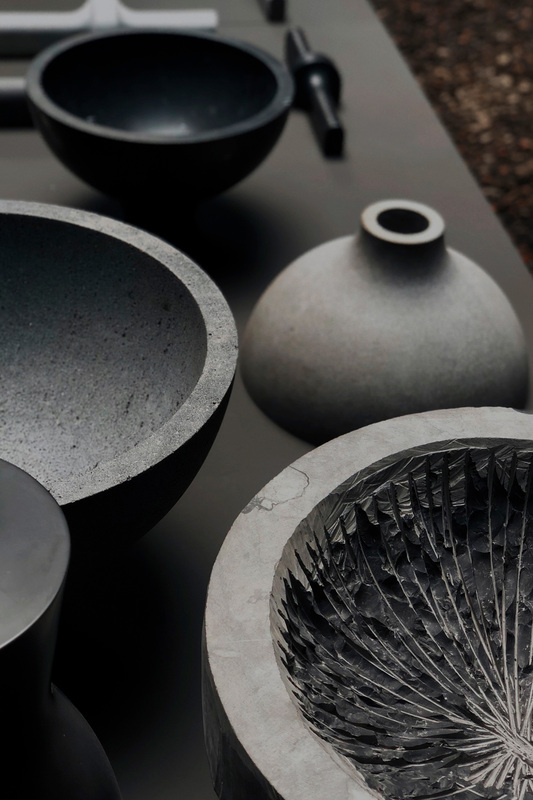 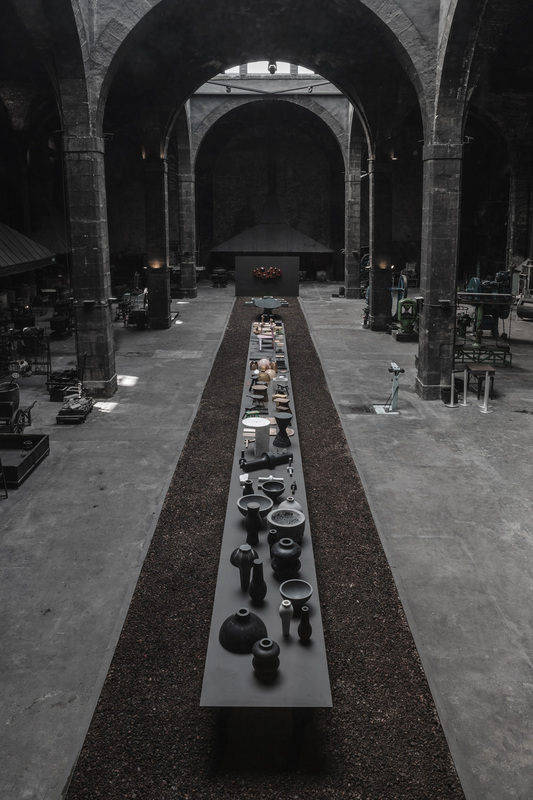 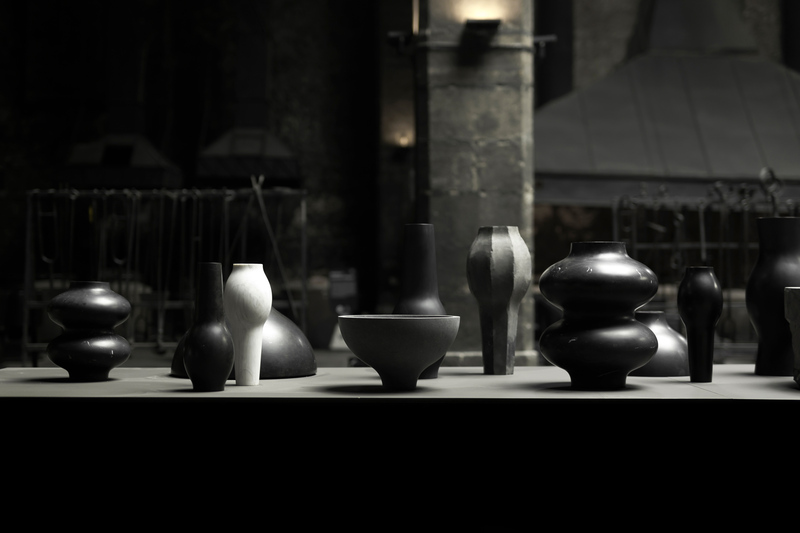 When Abierto Mexicano de Diseño, a four-day design fair, presented the studio the chance to make their solo exhibition at the old coin factory dating back to mid-seventeenth century, which in current day is a coin museum, it was immediately realised that it was the most breathtaking match. 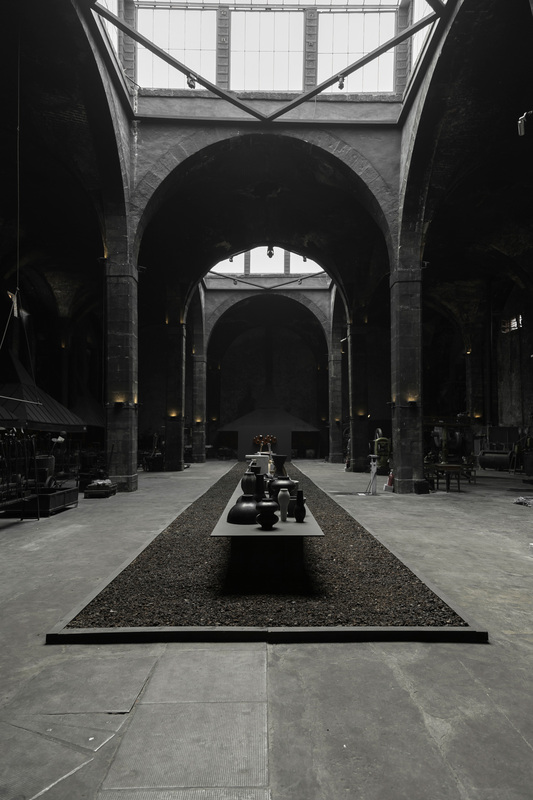 Masa Crítica takes place in a large factory room with nineteen meter high ceilings, all painted in black by the smoke released from the ovens, where the industrial process of separating the gold that came mixed with the silver from the mines, was carried out and from there on were minted into coins. 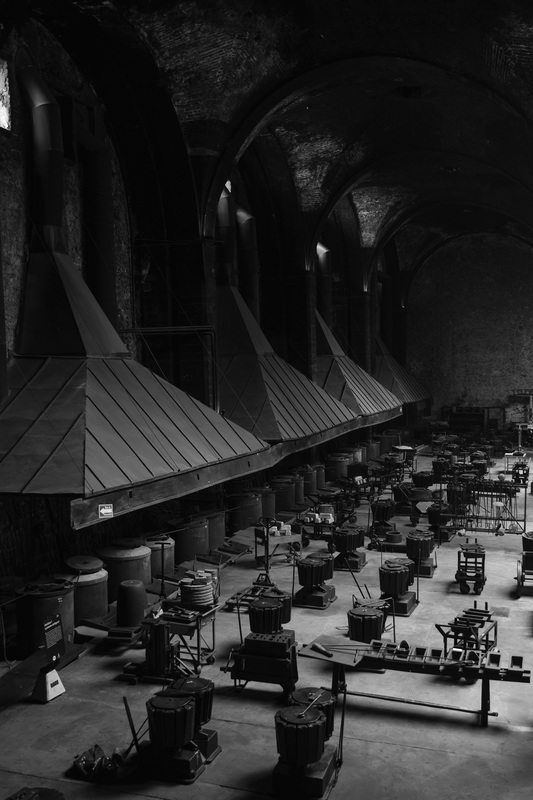 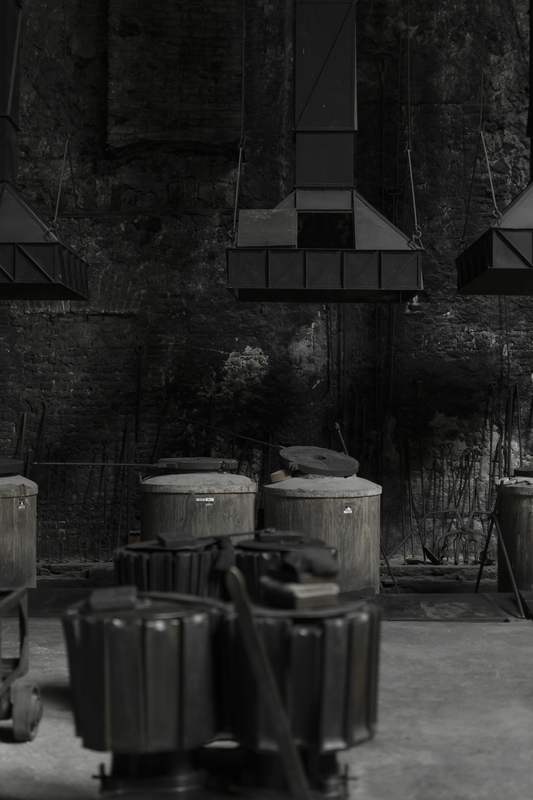 The space is surrounded by old chimneys and machinery dating back to mid-nineteenth century, which is kept to demonstrate the coin-making process. 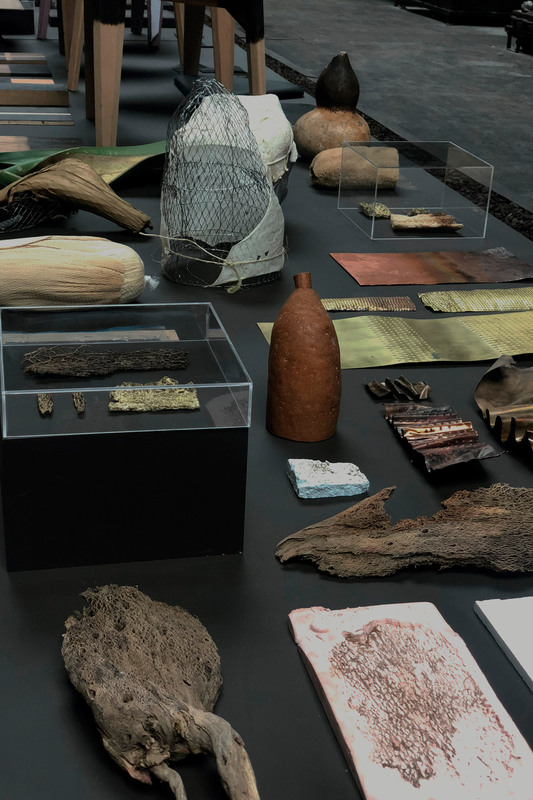 EWE Studio’s Masa Crítica exhibition is laid between the smokey arches in a long stretch consisting their previous collections, next to processes involved and material studies up-to-date. 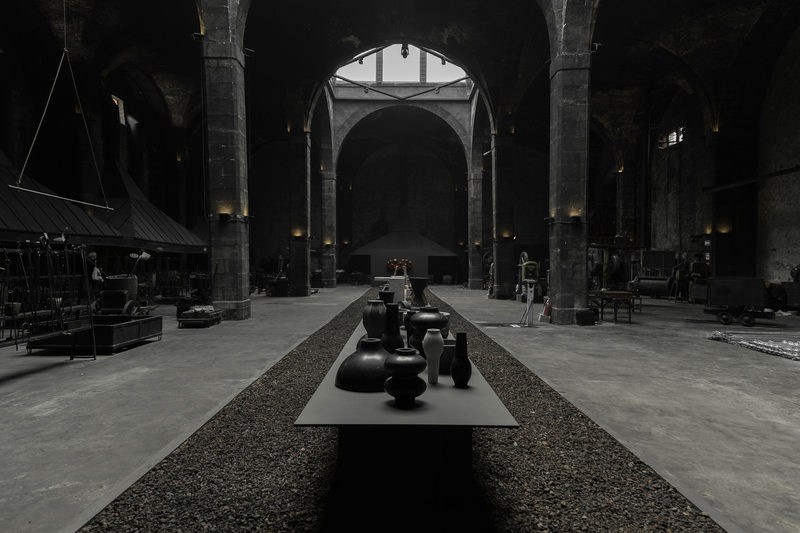 The studio built a 33-by-four-meter rectangle on the floor to contain eight tons of black gravel, adding a long dark table on top of it, where the pieces, studies and processes were placed. 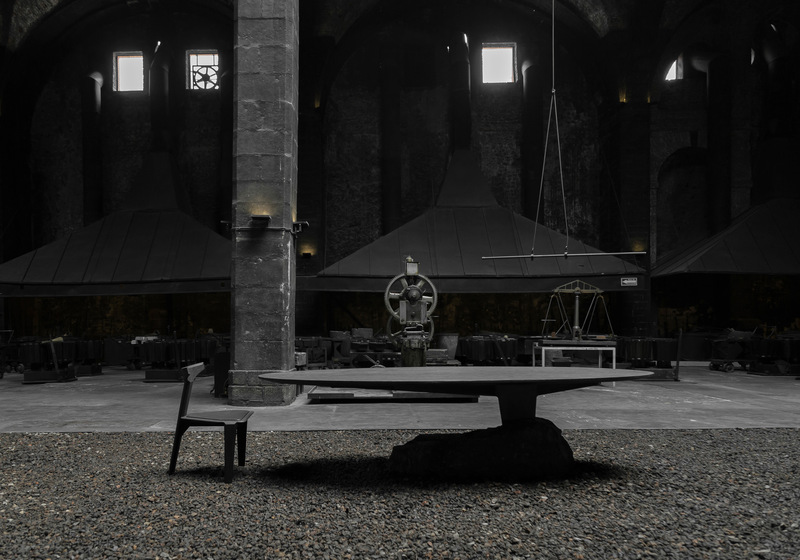 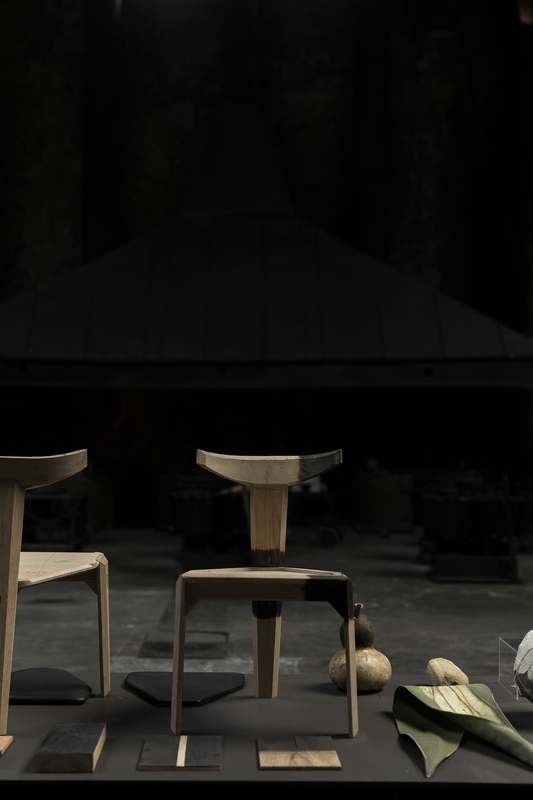 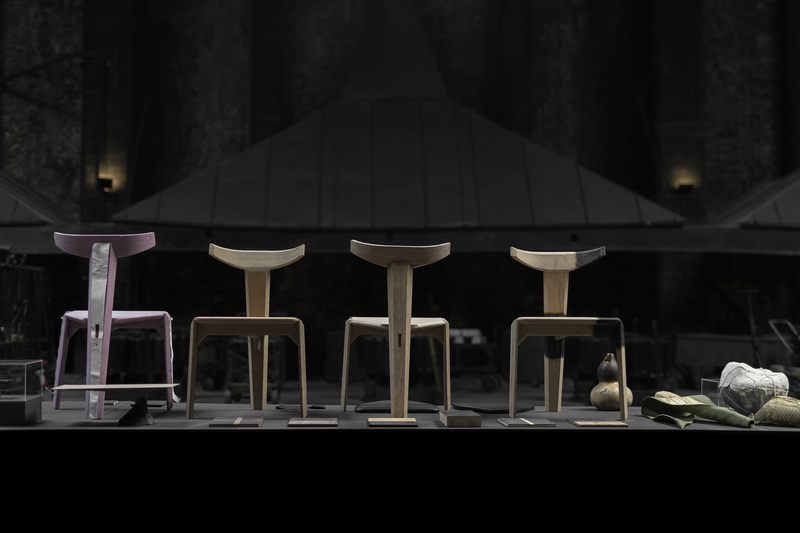 The structure follows with the oval version of the Humo Table, which launched specially for the exhibition and it is accompanied by the studio’s three-legged Ceniza Chair. 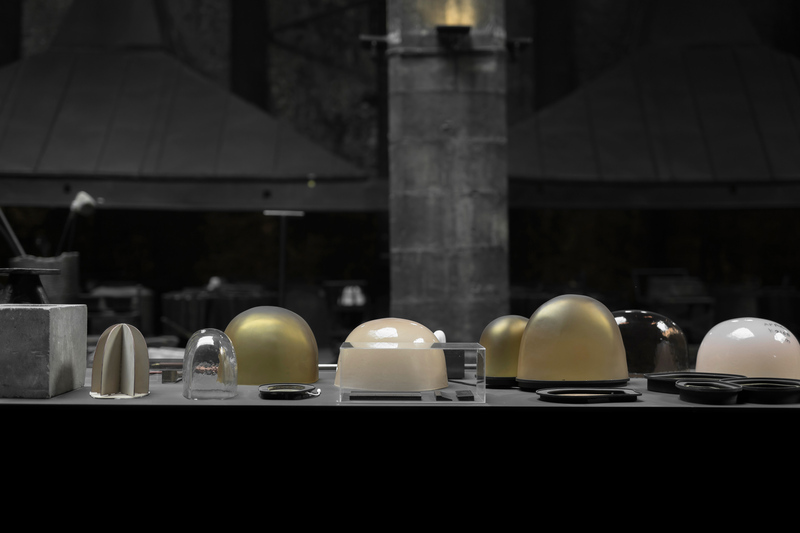 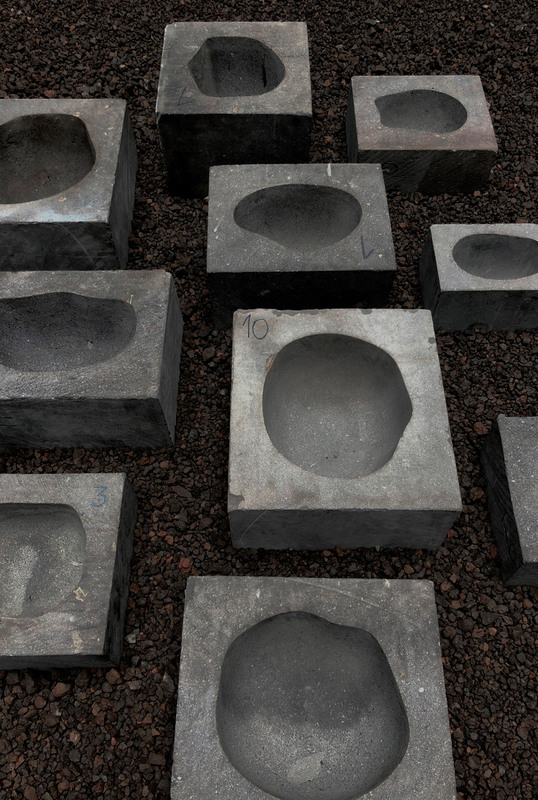 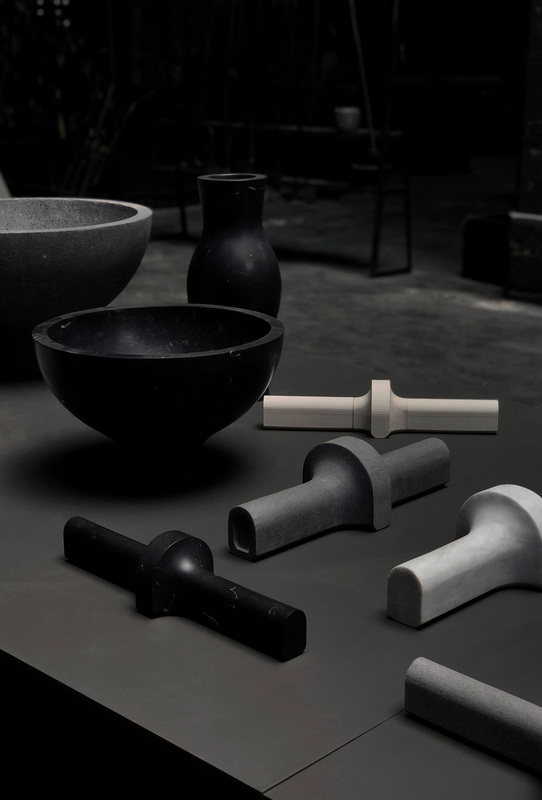 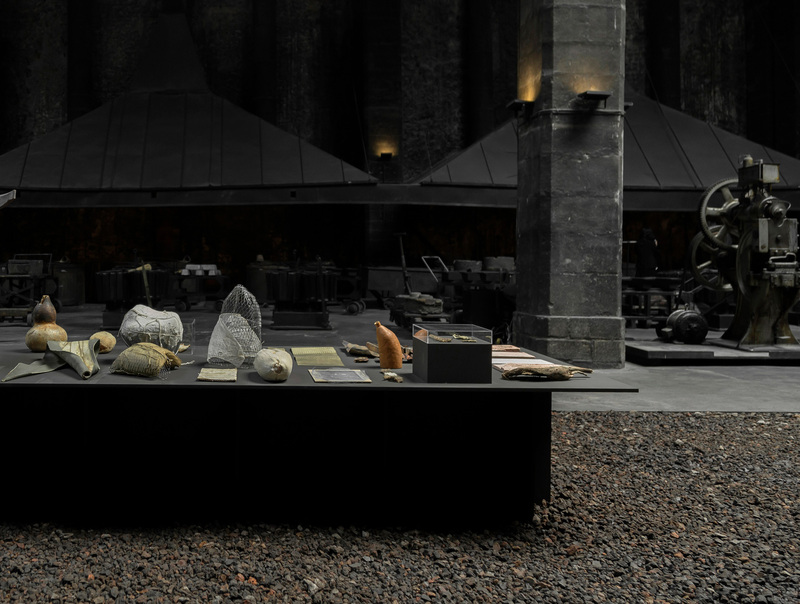 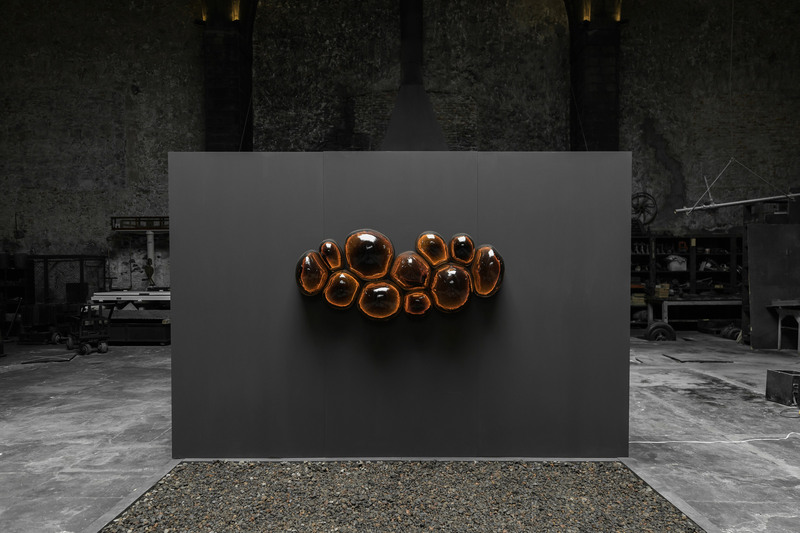 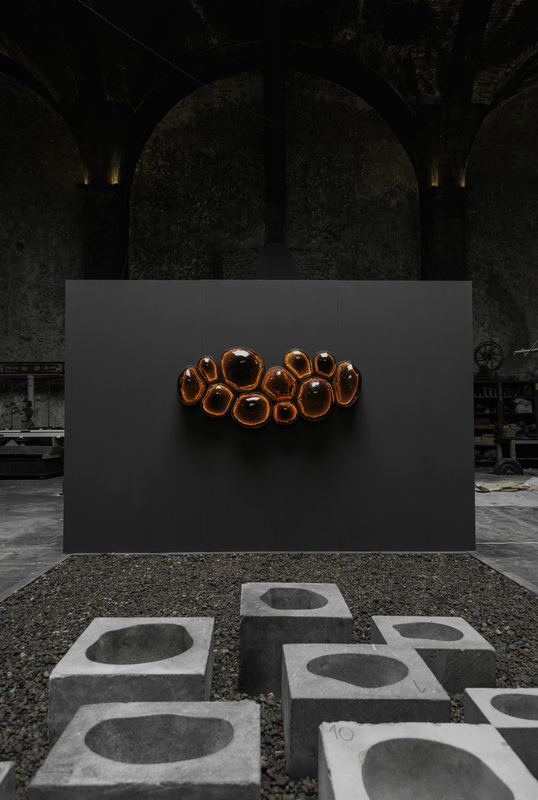 The exhibition ends with eleven volcanic stone moulds placed on the stones, which are needed to blow the glass for the glowing Magma lamp, that concludes the show on the black wall.